As the opioid crisis has gripped the country, the name of one particular opioid has been mentioned time and time again: fentanyl, a synthetic narcotic painkiller that is used in the treatment of severe, breakthrough pain (in cancer treatments, for example). Fentanyl is an incredibly strong drug, and its withdrawal timeline speaks to its potency and danger. Fentanyl is an opioid, which means that it binds to opioid receptors in the brain and the central nervous system. The receptors control the perception of pain and emotions. When an opioid molecule binds to them, they tell the brain to release dopamine, a neurotransmitter that creates feelings of pleasure, euphoria, and the desire for more of those feelings. They also dull any incoming signals of pain, giving users not only pain relief, but also emotional disconnectedness from pain. Fentanyl, as an extremely powerful opioid used only in cases of severe pain, exacerbates certain side effects that are not as pronounced in other opioids. Such effects include a desire for more of the drug, an increase in tolerance (where the body needs higher amounts of fentanyl in order to feel the standard effects), a physical and psychological dependence on the fentanyl, and, in cases of overdose, respiratory depression and arrest, a loss of consciousness, coma, and finally death. How powerful is fentanyl? The Annals of Palliative Medicine journal reports that it is 80 percent stronger than morphine, referring to fentanyl as a “rapid onset opioid,” one that is designed to work quickly in patients who are experiencing devastating breakthrough pain. The Journal of Pain Symptom Management writes that fentanyl is a more effective treatment for breakthrough cancer pain than morphine. While this presents a number of medical applications, it also raises the possibility for fentanyl to be abused for its fast action and powerfully pleasurable and painkilling effects. This criteria designates fentanyl as a Schedule II drug on the Drug Enforcement Administration’s list of controlled substances. There are legitimate medical uses for fentanyl, but the likelihood of patients and users developing a physical and psychological dependence on the substance is enough that it requires extra regulations and restrictions around its manufacture, marketing, and prescribing. The physical and psychological dependence that comes with fentanyl abuse means that people who take the drug find it increasingly difficult to stop using it. A public health and addictions medicine specialist at the University of Alberta told the National Post that fentanyl passes through the blood-brain barrier very quickly, essentially reaching the brain much faster than other opioids can, and it binds “very tightly” to the opioid receptors that control the reward systems in the brain. So, when a person takes fentanyl, they feel an overwhelming sense of reward within a matter of seconds. For people who are struggling with breakthrough pain, the sensation can feel like a life-or-death difference; for people who are abusing fentanyl recreationally, it is unlike any experience they have ever felt before. With the consumption of more fentanyl, the brain’s reward pathways become increasingly hooked on the fentanyl, to the point where no other experience or sensation can cause the same feelings of euphoria and satisfaction. One of the dangers that comes with fentanyl abuse is that even as the user is convinced that the consumption of the drug is pleasurable and rewarding, the objective reality is that the fentanyl causes widespread psychological, physical, social, and financial problems. The lure of the drug is often too strong to resist, so even as the user’s own health suffers from the variety of side effects that come with fentanyl consumption, the rewarding properties of the fentanyl convince them that the trade is worth it. Another danger that comes with this level of fentanyl abuse is the development of drug tolerance. As defined by the National Institute of Health, drug tolerance is the state where the user does not respond to the drug anymore; the current dose, no matter how strong it is, is ineffective in producing the desired effects (e.g., pain relief, tranquility, etc.). However, the desire to be rewarded is still so present and strong that users are compelled to keep taking fentanyl. With every exposure, their tolerance grows, and the dependence on fentanyl for simply feeling rewarded increases. In cases of extreme fentanyl abuse, where the drug has been taken for a very long period of time or in large doses, individuals report experiencing hallucinations and seizures as part of the withdrawal process. 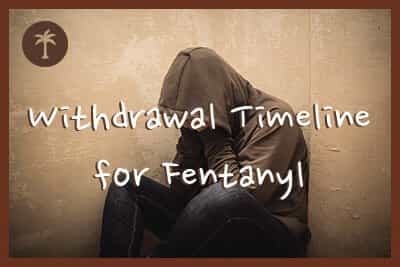 Since fentanyl is a rapid onset opioid, the withdrawal timeline is fast. The first of the effects generally begin as few as six hours after the last dose, but they can be delayed for up to 36 hours, depending on the amount of fentanyl taken, the method of administration, the presence of other drugs in the body as well as the person’s age, physical condition, and other environmental factors. The length of withdrawal depends on similar factors, including the person’s medical history and their general tolerance of pain and pain medication. These details are important if the individual is withdrawing from fentanyl under medical supervision, as there might be anti-anxiety and anticonvulsant medications administered during the process, and a doctor needs to be aware of any possible complications that might result from multiple drugs being present in the patient’s blood. The physical symptoms reach their worst point 48 hours after the process has begun, at which point the craving for more fentanyl to alleviate the symptoms will be almost irresistible. However, given the level of dependence that precipitates this extent of withdrawal, going back on fentanyl will deepen the level of psychological craving, and the person is at grave risk for inducing an opioid overdose. Live Science reports how researchers from the Centers for Disease Control determined that an overdose from fentanyl begins within seconds of the drug being taken, sometimes even while the needle of the hypodermic syringe is still in the user’s vein. For this reason, fentanyl withdrawal should not be done alone without medical supervision. After the first two or three days of withdrawal, the physical effects tend to subside, and they are followed by the psychological effects (e.g., depression, behavioral changes, etc.) The exact length of withdrawal is different from person to person, and some people may have relatively mild symptoms (either physical or psychological) while others require close medical attention for the entire duration. Assuming no compounding factors and proper supervision through the process, fentanyl withdrawal generally draws to a close seven days after the last dose of the drug. 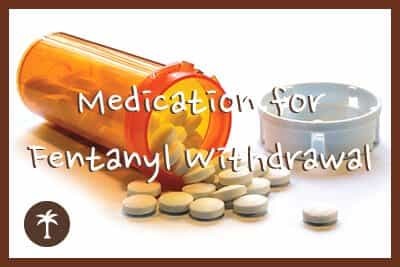 When withdrawal is induced as a form of treatment to undo physical dependence on fentanyl, it is known as medical detox. In most cases, detox is commenced before the person’s body breaks down the last of the fentanyl, and it lasts for around five to seven days. Again, this depends on a number of factors. For example, a person who has a severe fentanyl addiction might require 10 days for the detox process. Fentanyl withdrawal is not fatal, but the extreme risks to the patient’s physical and psychological wellbeing necessitate that detox is carried out in a supervised and safe medical facility, such as a hospital or inpatient drug treatment center, with observation and intervention by trained doctors. Abruptly discontinuing fentanyl intake can be devastating. The safest way to break physical dependence on fentanyl is to gradually wean the person off the physical need for fentanyl. This can be done by tapering fentanyl intake (slowly lowering the amount of fentanyl the person receives) or by switching to slower- and longer-acting opioids to ensure that the central nervous system is not deprived of its opioid boost too soon. One such drug is methadone, which also binds to opioid receptors, but it prevents the opioid molecules in fentanyl from activating the receptors in the powerful way they do. Methadone is an opioid, but it’s a much weaker one than fentanyl. The “high” it provides is minimal compared to that of fentanyl, and doctors use this quality to reduce the severity of opioid withdrawal symptoms while transitioning patients away from fentanyl. In 2014, the Canadian Journal of Hospital Pharmacy wrote of how a study that used methadone to minimize the withdrawal symptoms of fentanyl found that administering methadone one or two days before beginning the fentanyl tapering process allowed for doctors to completely discontinue fentanyl intake in just two days. Methadone is usually given to patients as a once-a-day pill. The idea behind their administration is to gradually reduce the frequency of the doses until the brain is able to produce enough of the dopamine neurotransmitter on its own. Another opioid-based medication to help individuals manage fentanyl withdrawal is buprenorphine, sold under the names Suboxone and Subutex. Like methadone, buprenorphine is known as a “maintenance drug” in this content, in that it keeps withdrawal symptoms to a minimum while maintaining the person’s temporary dependence on opioids. One advantage of using these kinds of medications is that it reduces the risk of relapse. Since individuals are still getting low-intensity “highs” from buprenorphine, there is less of a chance of them going back to fentanyl. 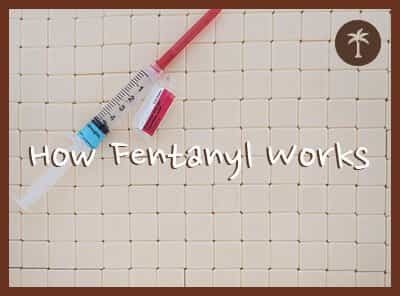 What Happens after Fentanyl Withdrawal? After the withdrawal symptoms have abated and the physical need for fentanyl is under control, the person is ready for further treatment. Unless there are further complications, this should be 8-21 days after the last dose of fentanyl. By this point, the physical symptoms of withdrawal should be mostly under control, although the person will likely still need monitoring. Depression, anxiety, and other behavioral issues brought about by the fentanyl abuse and withdrawal need to be addressed. Left unchecked, they could easily trigger a relapse. When the person has completed the withdrawal process, they can begin psychological counseling, which will address the mental health causes and effects of the fentanyl abuse. This can entail learning coping strategies to deal with stress and pain in a healthy way and bonding closer with friends and family to improve communication and empathy. After formalized treatment has been completed, clients are usually connected with a peer support group, consisting of other people who have overcome fentanyl addiction. This comprehensive support can sustain long-term sobriety.